Santa Monica - Venice Brokerage in Greater Los Angeles | Sotheby's International Realty, Inc.
Sotheby’s International Realty’s Santa Monica office is centrally located on Main Street close to the Third Street Promenade and Montana Avenue with their trendy shops and restaurants, the Palisades bluffs, Gillette’s Regent Square, the Santa Monica Pier and the famed Gold Coast. Cristian David, Managing Broker of Sotheby’s International Realty’s Santa Monica office, and his agents have vast knowledge of the greater Westside of Los Angeles and provide comprehensive services to their clients in both the purchase and sale experience. Santa Monica, situated on the western edge of Los Angeles at the Pacific Ocean, is located just eight miles north of Los Angeles International Airport (LAX). While Los Angeles surrounds Santa Monica on three sides, the neighborhood is also worlds away. This walkable city with tree-lined streets, which began as a resort community 100 years ago, continues to offer the unique appeal of a beach town with a sophisticated state of mind. 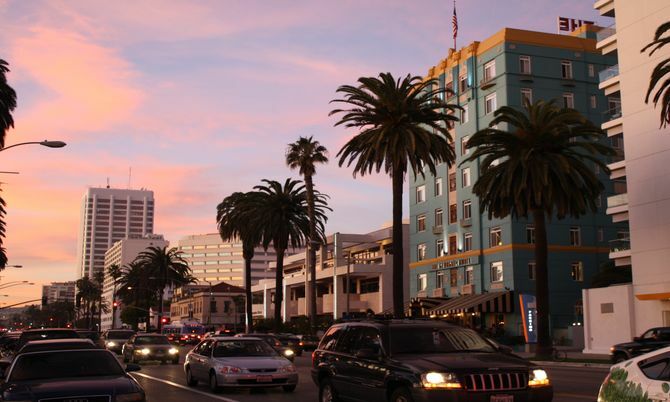 This urban village by the sea offers great shopping, including Third Street Promenade, restaurants, special event locations, meeting venues, museums, art galleries, world-class beaches, Santa Monica Pier and unique local attractions.